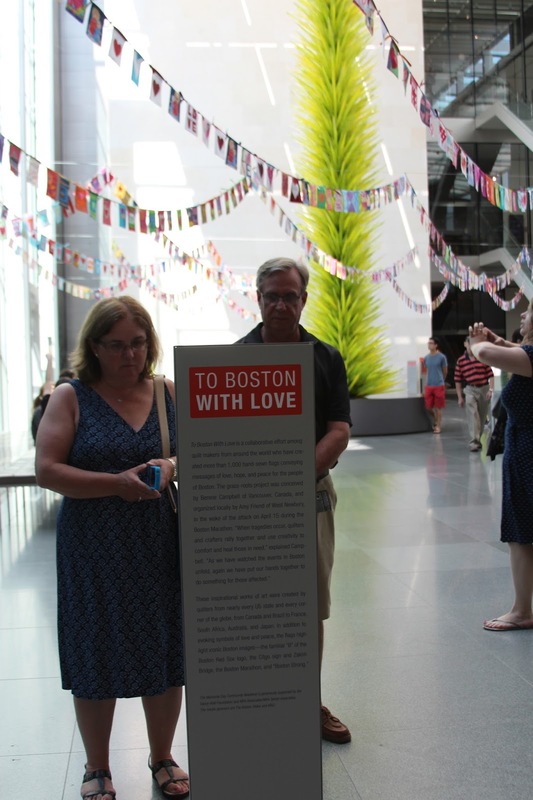 This past weekend I was finally able to get to the MFA and view the To Boston With Love exhibit. We got to the MFA a bit later than we had hoped, so we only had about an hour and a half before the museum closed. We still had enough time to enjoy all of the flags and see a few exhibits including a Michelangelo exhibit and Samurai exhibit. I started by trying to find the flag that I made. I had every intention of making more than one, but time just got away from me. The month this effort was going on was my busiest month for work and involved a decent amount of travel for me. Being the HUGE New England sports fan, I had to make a flag with Patriot Pat on it. It's exciting to say that I have artwork hanging in the MFA, in the same room as a Chihuly sculpture. After I found my flag, I spent some time looking around. I talked to a bunch of folks who really enjoyed the exhibit. Several people thought they should keep these flags up year round. I also had to hunt down my aunt Karen's flag while there. 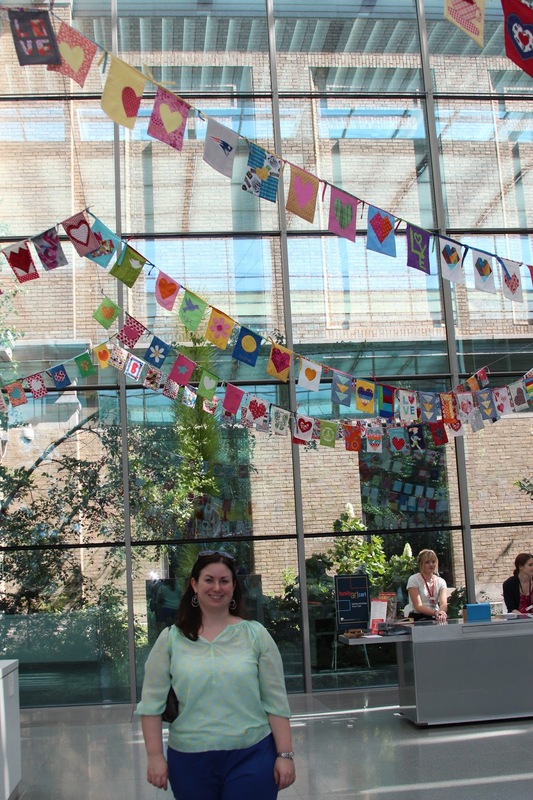 My parents, who joined me on my visit to the MFA, enjoyed seeing all of the flags, each having their favorite. It was fun to see what flags caught their attention and were their favorites. The people I spoke with seemed to like the flags that represented the city of Boston well including the Citgo sign, the Zakim Bunker Bridge, our Boston sports teams, and more. Overall, I was really glad I was able to see the exhibit. It won't be up for much longer, so if you want to check it out, I recommend doing so very soon. That's wonderful! I am yet to visit! Glad to see that you got a chance to do so. Love to see all of them hanging up! Thanks for sharing your photos.